THIS WORKS GREAT ON MY SUPER CURLY HAIR, EVEN HELPS CONTROL THE FRIZZ. Extra-long floating tourmaline ceramic-coated plates make it easier than ever to get super-sleek, super-straight results. The combination of far-infrared heat and ion-emitting tourmaline gently eliminates static and reduces frizz faster than you can say Before and After. 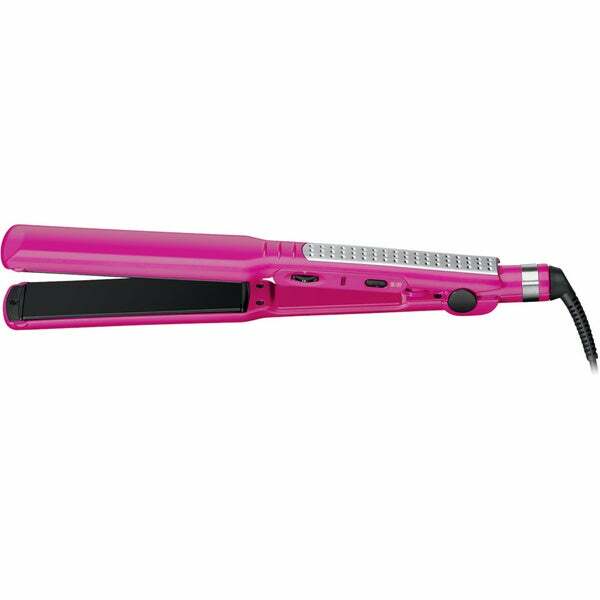 "Is this flat iron dual voltage?"